In the early part of the 20th century, when Jewish entertainers like Al Jolson would toss Yiddish references to gedaempfte Rinderbrust (beef brisket) and the like into their routines, it was widely seen as an expression not of anti-Semitic baiting, but as a cocky sort of pride. Yes, the performers were intentionally making a point of their ethnicity, but it was in the form of a shout-out to the Jews in their audience, not as a wink to their would-be persecutors. If anything, the contemporary scholarly consensus is that these kinds of references aided the cause of diversity, by smoothing the introduction of Judaic ethnicity into mainstream discourse. 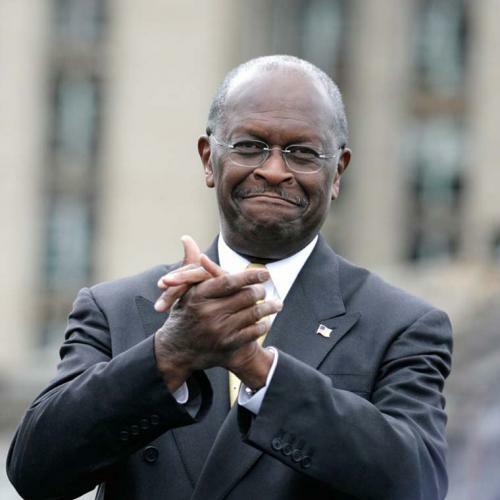 Were it that we could come to the same agreement about Herman Cain’s sense of humor. Unfortunately, when he says that his Secret Service handle could be “Cornbread,” or greets an enthusiastic audience with the theatrically humble expression “Shucky ducky,” commentators get their hackles up. Read the op-ed written by Brown University’s Ulli Ryder last week in the New York Daily News and you would think that Cain is himself a racist, encouraging insulting “stereotypes”. The truth is much simpler—namely, he is exposing (in some cases, introducing) the country to an authentic thread of black culture. Cain isn’t a self-hating minstrel. Quite the opposite: He’s a black man from the South actually comfortable enough to be himself on the national stage. On the epistemological question of whether there is such a thing as “authentically black” culture, I have my doubts, and have expressed them at length in my previous writing. But we also shouldn’t say that there is no such thing as blackness at all, as some educated black people have alleged. A culture with no traits is nothing—or at least nothing worth discussing. The real problem is that many political and media elites have a much too narrow conception of what it means to be black. Indeed, one of the saddest things about modern black American culture is the sense that there are large aspects of it that are somehow not respectable. The fact is Cain is a black person from the state of Georgia: Why shouldn’t he have a right to invoke vernacular Southern black culture, including a fondness for cornbread? Cain’s saying “shucky ducky” is no different—no more anti-black—than when President Obama says “goin” instead of “going.” It is Cain’s critics, with their deep-seated ambivalence about the value of black culture, who deserve to face the charge of self-hatred. Where Cain is proud to display his blackness—from its physical characteristics (he has openly said he finds the color of his own skin to be beautiful) to its more subtle and humble cultural components—his detractors would seem to wish he would not be so black where white people can see it. Certainly, some of Cain’s rhetoric needs to be contextualized to be properly understood. More than anything, Cain shows an affinity and comfort with the particular sense of humor rooted in black American experience. However questionable it is as a political trope, Cain has been regularly employing on the campaign trail a particularly black rhetorical comic style, one that involves a certain cartoonish, and fantastic treatment of violence. This is the tradition he was drawing on, for example, when he called for a border fence that would electrocute Mexicans. African American English speakers have a broad kind of semantic license – to mean and not to mean; to use language in a relatively literal way or not to do so; to make words mean whatever they want them to mean, often, but not always, in cooperation with their audience. This is why speech that may appear to outsiders to be abusive or insulting is not necessarily intended to be nor is it taken that way by audiences and addressees. Spears was referring to, among other things, mock threats of violence. The term one uses for this among the academic set is African-American “directness.” It explains why so many smart black people have become accustomed to defending the violence in many rap lyrics as metaphorical. There are plenty of points of comparison in black comedy: Steve Harvey in Kings of Comedy joking about how black people adrift after the Titanic sank wouldn’t have let extra people onto their rafts; the late Robin Harris saying that he would happily throw the switch for the electric chair to put criminals to death if no one could be found for the job; or even Eddie Murphy’s routine about the mother hurling her shoe. Imagine Jerry Seinfeld or Drew Carey doing these routines: It just doesn’t translate. Yet, these routines, performed by black comedians, are widely considered harmless. Finally, there is Cain’s occasional “I’m not so bright” routine. “I does not care” what people think of me, he said; or more recently he grinned that he does not know who the president of “Usbeki-beki-beki-beki-stan-stan” is. But is this “stereotyping”? Only if it’s solely about white perceptions, and it isn’t. This, too, is a black routine in its way. Are there plenty of black intellectuals, professors, and geniuses? Indeed. Is there also, however, a tacit sense that geekiness is something distinct from blackness? Indeed again, and it would be surprising if it were otherwise. After all, black people were denied education for centuries--and then when they were allowed to get it alongside whites in the fifties and sixties, they were often treated like animals, as many iconic photos can attest. It was this experience that created the trend among black teens to call each other “white”—the enemy—for even liking school, as Stuart Buck has made ineluctably clear. That makes sense, and it was a perfect summation of what I refer to—an unspoken feeling among African-Americans, magnifying a general American mindset, that authenticity and pointy-headedness are a tricky mix. It’s about history, not genes, and my sense is that it is fading with time. But there’s a reason Chinese-American kids don’t call studying “white,” just as there’s a reason Herman Cain jauntily says “I does not care” to indicate a straight-from-the-heart brand of dismissal. Again, none of this means Cain is a good candidate, or would be a good president. In terms of anti-intellectualism, for example, people running for President probably don’t need to be able to name Islam Karimov, but they should know the difference between the terms pro-choice and pro-life, and be familiar with neoconservatism. And to be so nakedly underprepared looks, yes, worse than it does for a black candidate than it does for Rick Perry. Looking plain "stoopid" goes beyond black cultural folkways into channeling more pernicious notions about black people that we need to get past. But there is little evidence that Cain is trading on that kind of racism: “Shucky ducky” and “I does not care” are harmless cultural flotsam. Rather than policing Cain’s behavior, we should take it as a learning opportunity. At the least, our conception of blackness should be generous enough that conservative black Republicans can afford to be black in public.